Vendula Šlechtováa, Jörg Bohlena & Heok Hui Tan, 2007. 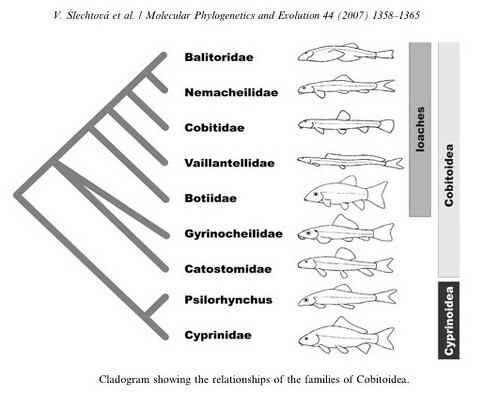 Families of Cobitoidea (Teleostei; Cypriniformes) as revealed from nuclear genetic data and the position of the mysterious genera Barbucca, Psilorhynchus, Serpenticobitis and Vaillantella. Molecular Phylogenetics and Evolution, 44(3): 1358-1365. See this comment in Practical Fishkeeping (UK).